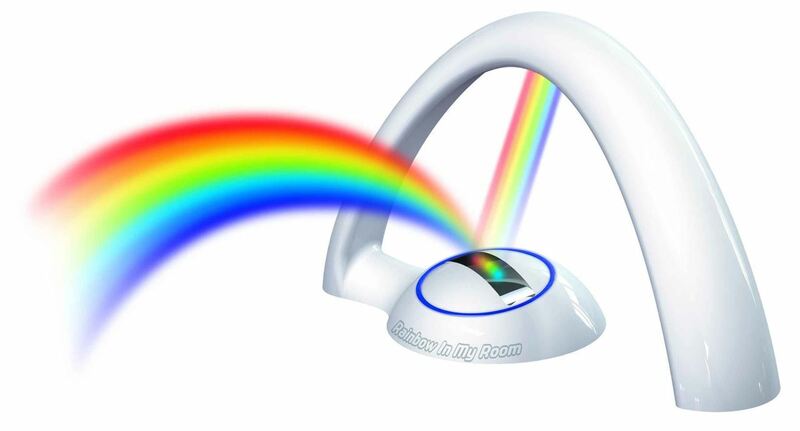 The Rainbow in my Room is a great lamp for children. 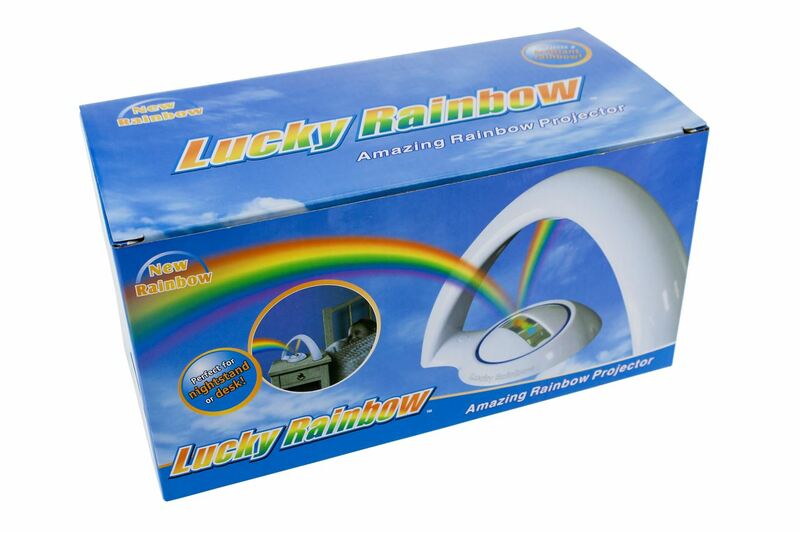 A rainbow is a natural phenomenon and remains fascinating. 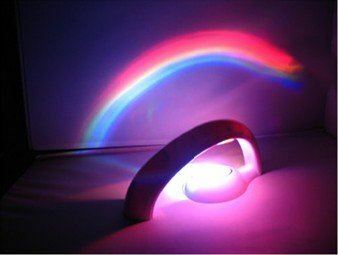 If it rains and the sun shines through the raindrops, a colour palette of red, orange, yellow, green, blue and purple gets visible. 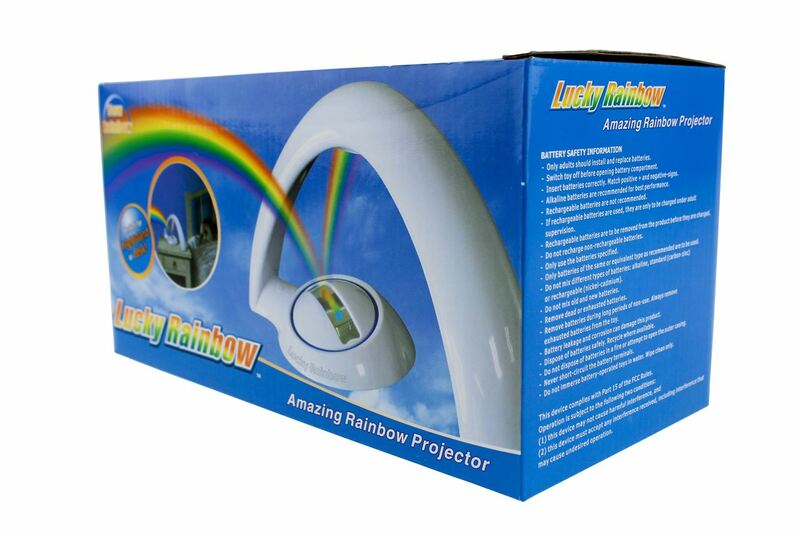 With the Rainbow in my Room you don’t have to wait for rain and sunshine, you’ll always have a rainbow at hand. 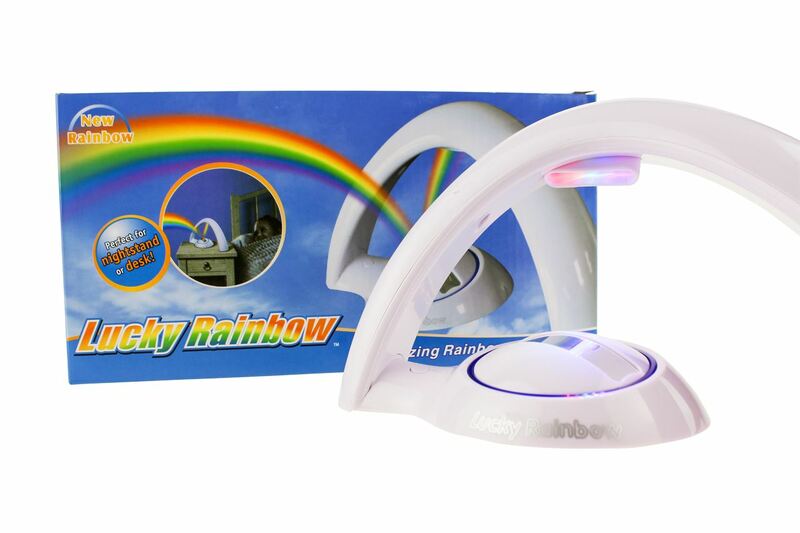 The Rainbow lamp requires 4 AAA 1.5V batteries (not included) or an AC adapter (not supplied). 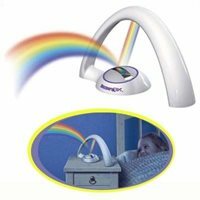 The lamp has two modes: in Mode 1 the lamp will turn on in all Rainbow colours and in Mode 2 the rainbow will change of colour. After 10 minutes, the lamp switches off automatically.